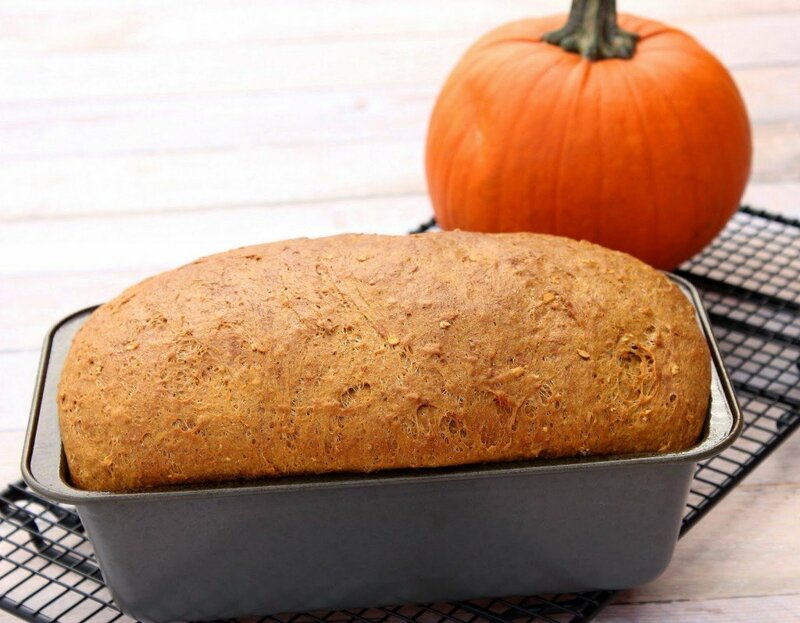 This Savory Ginger Pumpkin Spice Bread is soft and yeasty with a wonderful crumb and aroma. Make room for it on your Thanksgiving table. It’s a bread lovers dream come true! #TwelveLoaves: where every month has a different theme and every theme has a different host. Well, at least until it’s my turn to host (i.e. this month’s theme of pumpkin), and I have to rely completely on Heather of Girlichef to pull me out of the weeds. Thank you so much, Heather! You’ve taught me so much, and yet I still have so much to learn 🙂 The good news? I love to bake bread, so I’ll keep on keeping on! I’ve actually made this bread three times in the past month. Each time I tried to do something a little different with its appearance. 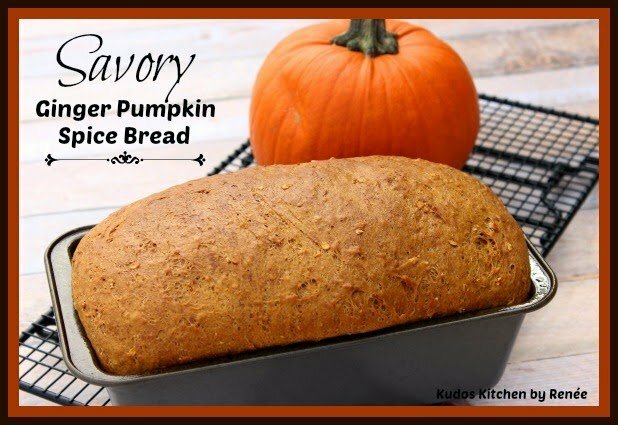 However, what I’ve learned is that sometimes you don’t need fancy, you just need flavorful, which is what this Savory Ginger Pumpkin Spice Bread is all about. 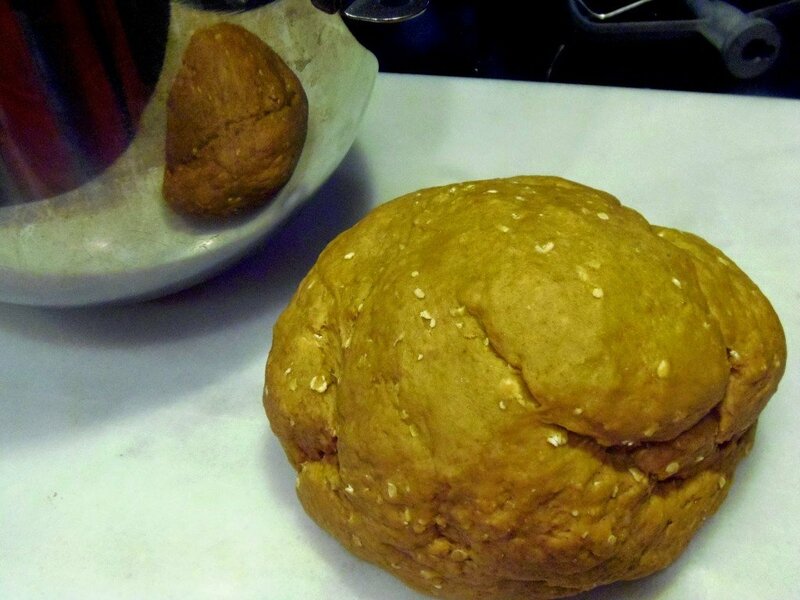 As this bread bakes, you’ll be blown away by its yeasty, spicy aroma from the ginger and the allspice. A little goes a long way with these two spices but you’ll definitely notice their distinct flavors. I found the original recipe for this bread in a copy of a King Arthur Flour catalog, and then I adapted the heck out of it…I incorporated whole wheat flour, quick cooking oats, the aforementioned allspice, black pepper, brown sugar and olive oil. I also omitted the raisins but please feel free to add them in if you like. This bread is amazingly customizable that way. Another thing you’ll notice about the making of this yeast bread is that the preparation is quite different than other yeast breads you might be familiar with. There is no warming of liquids or dissolving of yeast. It’s basically a “dump recipe” which makes it a no-fail yeast bread for those of you who are intimidated by baking homemade bread. 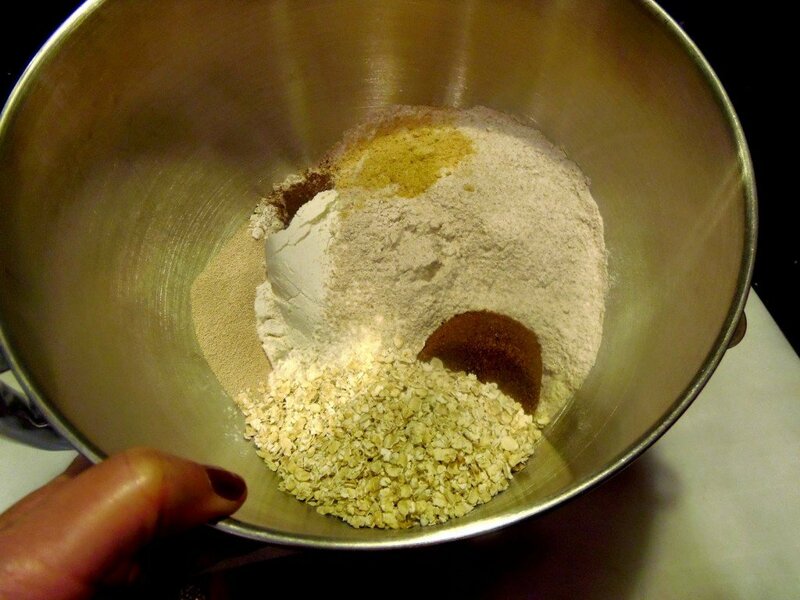 In a large bowl, stir together the all-purpose flour, whole wheat flour, oatmeal, salt, pepper, ground ginger, allspice, brown sugar and yeast. 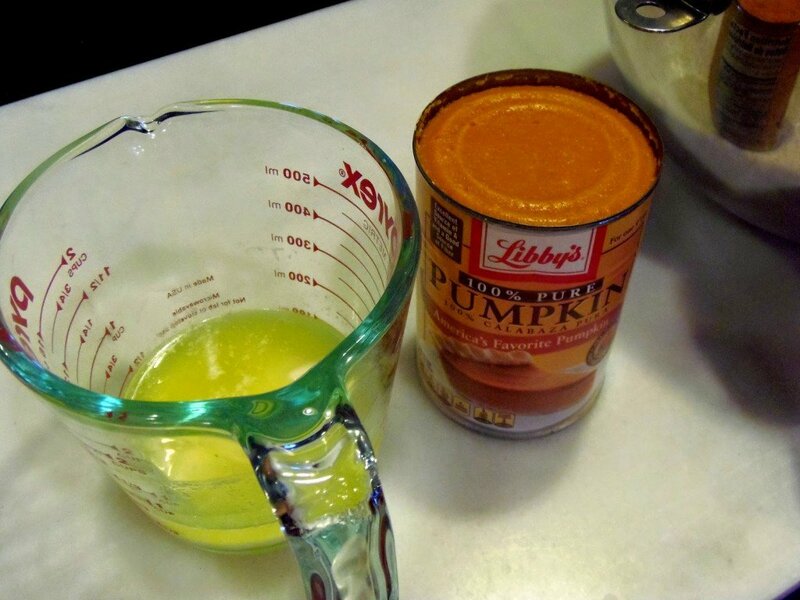 In a medium bowl, stir together the canned pumpkin puree, eggs and melted butter. 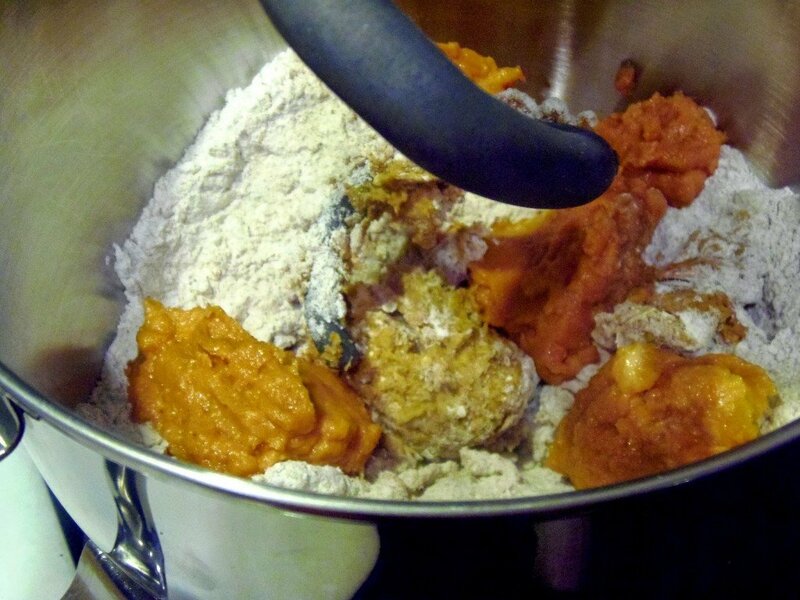 Using the dough hook, knead the pumpkin mixture into the flour until the dough forms a ball and comes away from the sides of the bowl. Turn the dough out and knead by hand for a few minutes. Place the dough into an oiled bowl, cover and allow it to rise until doubled in bulk. 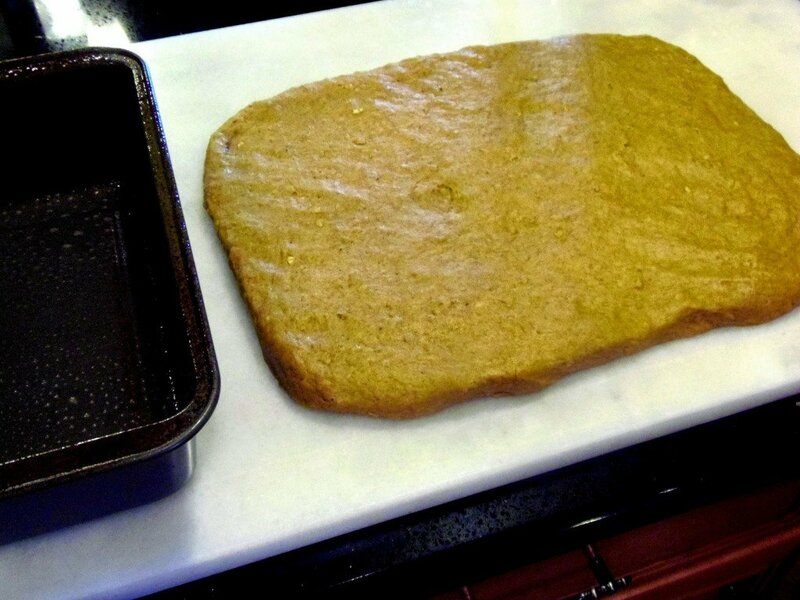 Turn the dough out and press into an approximate 9″ x 14″ rectangle. 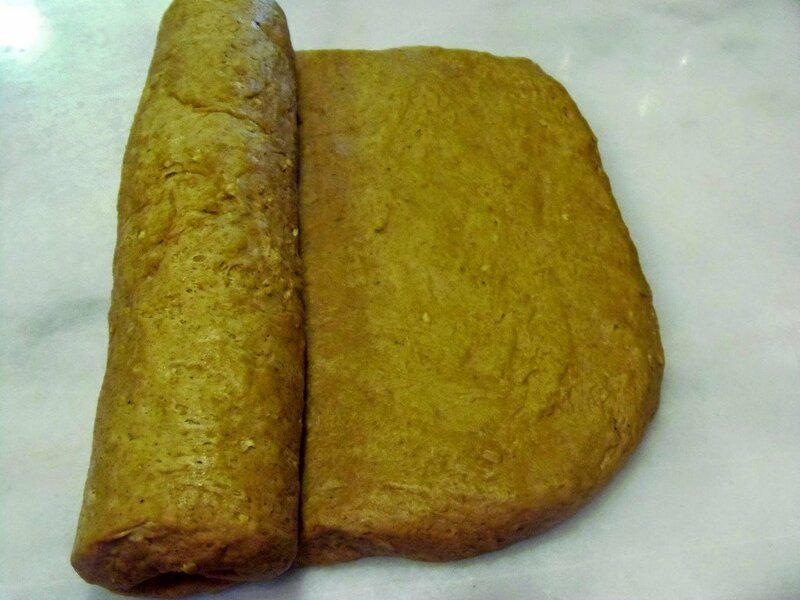 Roll the dough vertically and place (you may need to compact the dough with your hands to fit the pan) into a loaf pan that has been sprayed with olive oil spray. Allow the dough to rise until doubled. Bake in a preheated oven until golden and sounds hallow when tapped. -In the bowl of a stand mixer (or a large bowl with a wooden spoon), stir together the flours, oats, salt, pepper, ginger, allspice, brown sugar and dry yeast. 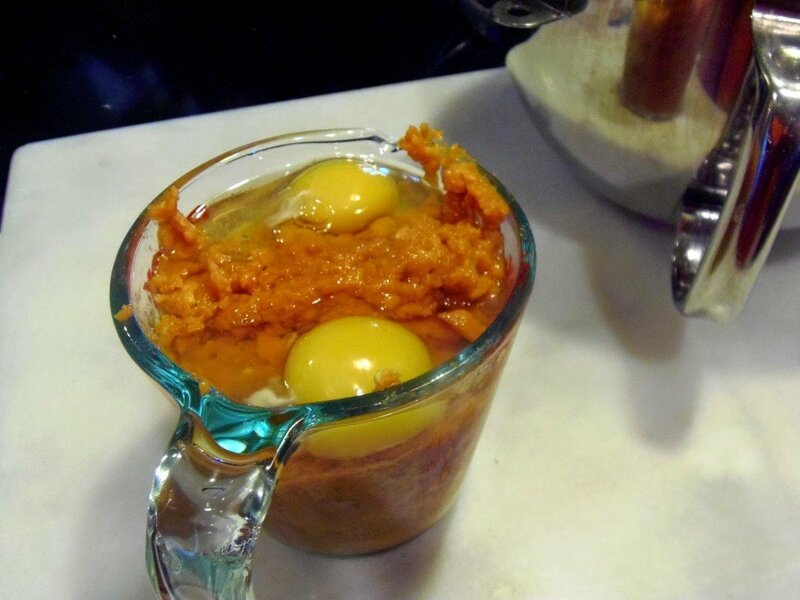 -In a medium bowl, combine the pumpkin purée, 1 stick melted butter (cooled), olive oil and eggs. 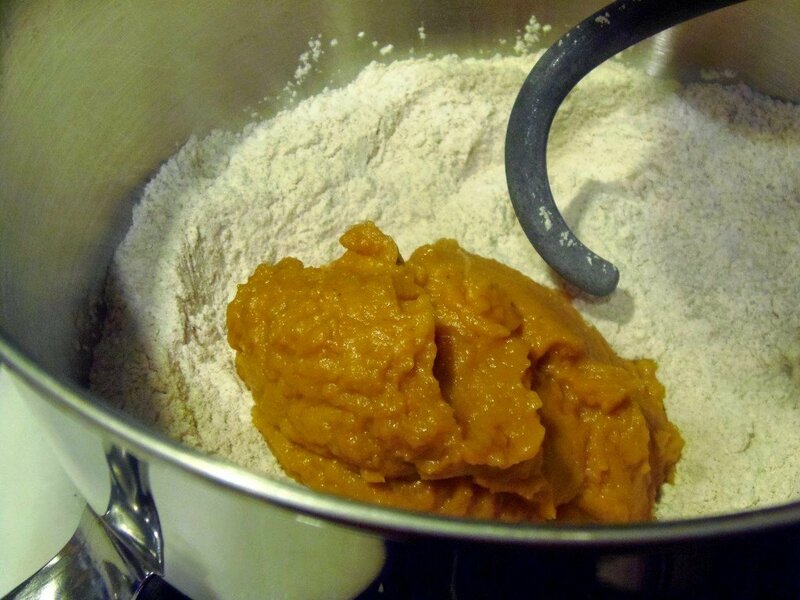 -Using the dough hook (or a lot of elbow grease and a wooden spoon) add the pumpkin mixture into the flour mixture and knead until the dough comes together in a ball and is totally incorporated. **Note – if using add-ins, now is the time to knead them into the dough. 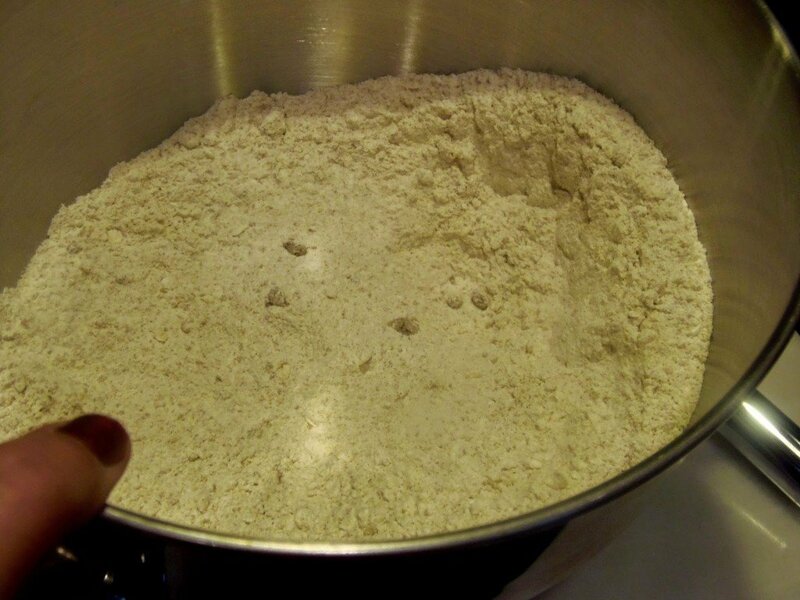 Turn the dough out onto a lightly floured surface and knead by hand for approximately 2-3 minutes. *Note – the dough will be slightly sticky but smooth and elastic. -Return the dough to an oiled bowl, and turn to coat. Cover the bowl and place in a warm, draft free place until doubled in bulk (about 1 hour). -Turn the risen dough out onto a lightly floured surface and pat it into an approximate 9″ x 14″ rectangle. 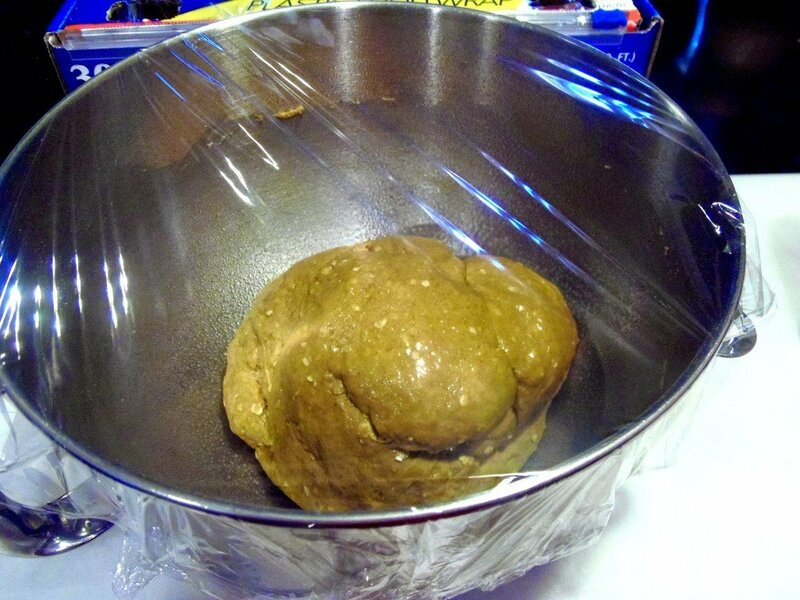 Roll the dough vertically and place it seam side down into a loaf pan that has been sprayed with olive oil spray. *Note – you may need to compact the dough slightly with your hands to get it to fit snugly in the pan. 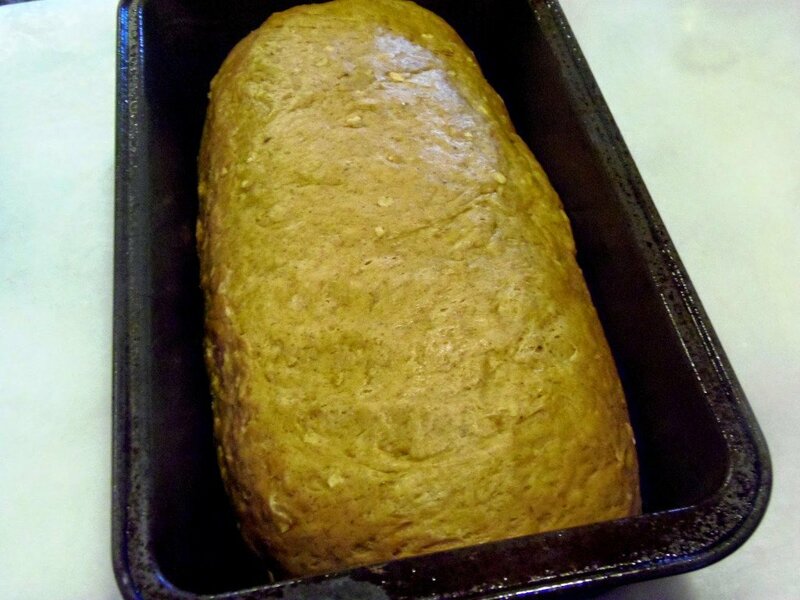 -Allow the loaf to rise for a second time in a warm, draft free place until doubled in bulk (approximately 1 hour). -Bake the loaf in a preheated oven for 30 minutes or until the loaf is golden brown and sounds hallow when tapped. -While the loaf is still warm, brush the top with melted butter. -Turn the loaf out onto a baking rack and cool completely. Beautiful bread, Renee! I especially like the combination of pepper, ginger, and allspice in the dough. Wow this looks great! I never knew to roll the dough before baking it! Thanks for the tip! What a pretty loaf of bread! 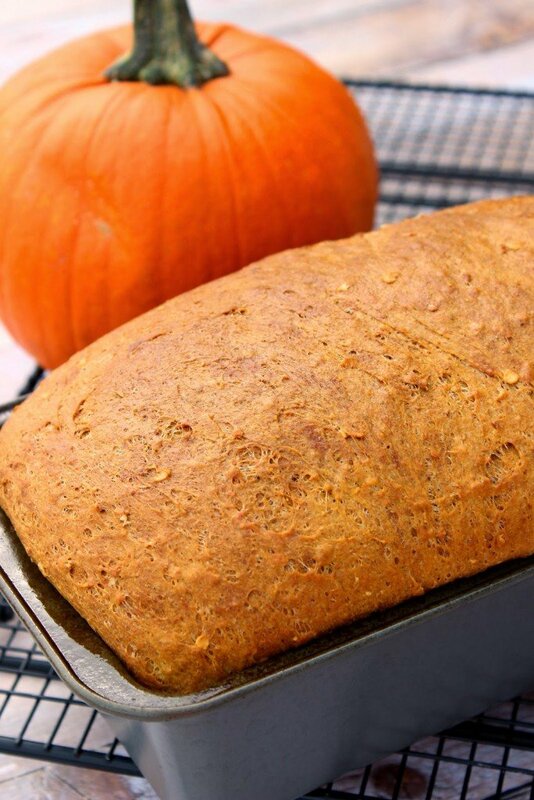 I love the idea of making a pumpkin bread that isn't a quick bread. I'll bet this is really good toasted. Hostess with the mostest! Thank you for leading the #TwelveLoaves charge this month, Renee. Your bread looks phenomenal. That gorgeous bread has such a wonderful color. Your Thanksgiving guests will be thrilled. Thanks so much for hosting too. I love yeasted pumpkin bread. It's great for ham sandwiches…yum! Your ginger pumpkin bread with the dash of allspice celebrates the autumn and approaching holiday season so well. And with oats in the mix, it doubles the appeal for me =) Thank you for hosting this fun pumpkin themed party, Renee! I love your theme Renee! Pumpkin is always a winner in my book! 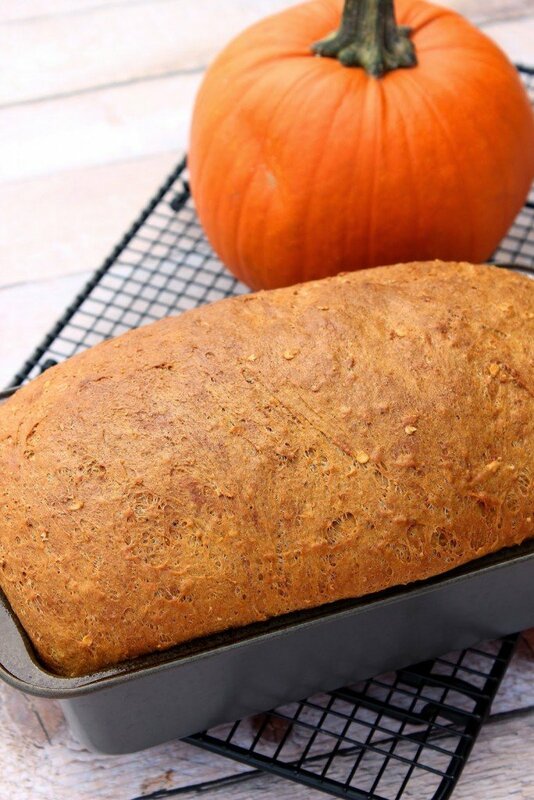 I am actually getting a stone flour mill soon and would love to join in the pumpkin bread making magic! This loaf of yours is seriously making me hungry! I pick flavor over "fancy" any day!!! This looks wonderful! Love the idea of a different theme for bread each month. Wow! Your bread is beautiful! And you've done an amazing hostess job, from what I see! 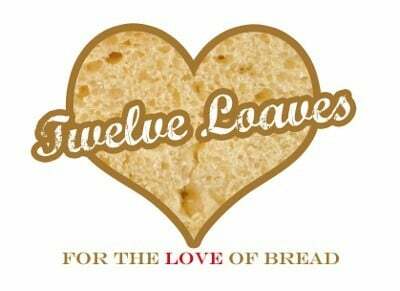 I just may join in on the Twelve Loaves fun! I can almost smell this through the screen! Love that you took the savory route and your bread sounds (and looks) divine! Thanks for sharing this AND for hosting this month! This bread looks amazing! And I totally agree, sometimes fancying things up isn't necessary. So long as you have the right flavors! What a gorgeous loaf! Though I want to know what the inside looks like. 😉 And I LOVE that you used some whole grains in there. This looks so tasty! Would love to have it for breakfast right now. This looks amazing! I love that it's savory – I bet it would be awesome as cinnamon toast!